Heroin premiered their new am video, Bath Salts in LA last night. By all accounts the packed house thought it was a splendid flick with great skating. 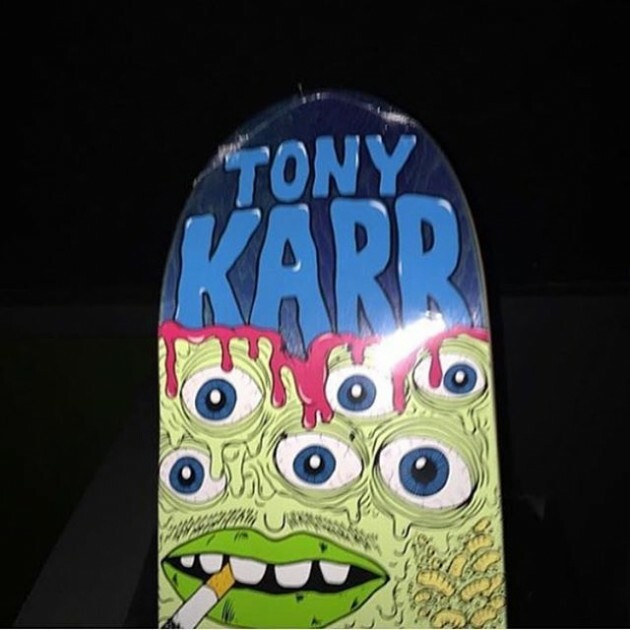 Biggest news on the night was that Fos has turned Tony Karr pro for the brand so expect to see his name etched on Heroin wood for years to come. Sick skateboarder, well deserved. Look out for British premiere news coming soon, we hear there’s a good chance the first screening will be held in Manchester. Rad to see Heroin getting amped on their new video that’s in the works. Bath Salts looks like it’s going to be Heroin’s next step forward with new faces who’ve bedded in since Fos upped sticks and headed for America. All ams, all on the up, coming this November. This looks rad, get hyped! Watch Heroin Skateboards new ‘Video Nasty’ trailer! Wake up to the news that Heroin Skateboards have released an explosive trailer for their next full video titled VIDEO NASTY. The team has been shooting footage ready for a June 2013 release so hit that play button for Chet Childress, Gou Miyagi, Daniel Shimizu, Chopper, Fos, Rogie, Tom Day, Casper Brooker, Craig Questions, Stephen Malet, and Deer Man of Dark Woods. Heroin Skateboards have released their new pro decks featuring signature models for Daniel Shimizu, Gou Miyagi, Chett Childress and Deer Man of Dark Woods. All come over 8″ in size but if you are looking for a smaller rig then the Chopper deck from the New Ball Series is available as a 7.75′. 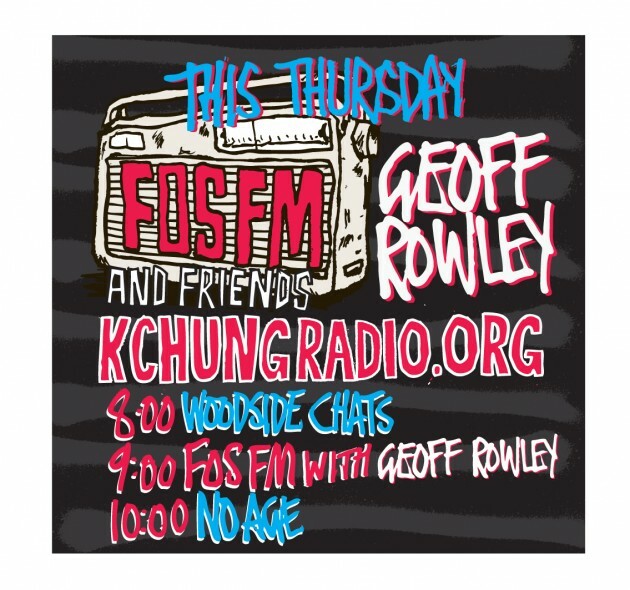 Geoff Rowley speaks to Fos last night and discusses camping in the snow with Jimmy Boyes, plays Lungfish and a whole bunch of other great music. We also mailed Fos to ask Geoff what band he would be in (other than Motorhead) so click play to find out here. Heroin Skateboards’ Fos has been busy traveling the world with his paintbrush and pens. Check out this realy well cut video of his latest show in Vancouver with skating at various spots with Craig Questions, Deer Man of Dark Woods and more. Fos x Vancouver from Timebomb Trading Inc. on Vimeo. The BBC banks in Manchester may have been decorated lately with skatestoppers after 20 years of freedom, but it has only raised the bar for a different session as Joe Gavin, Rogie, Tom Day, Fos and Tom McClung demonstrate in Jim Craven’s edit. It’s official. Heroin Skateboards has yet another new pro rider today and it’s Luda Crooks! Fos has been working his magic in California and has snapped up the king of all party airs today. Heroin welcomed Danny Shimizu last month. As Burnley’s finest moves forward across the pond, who do you think could be next to join the ranks? 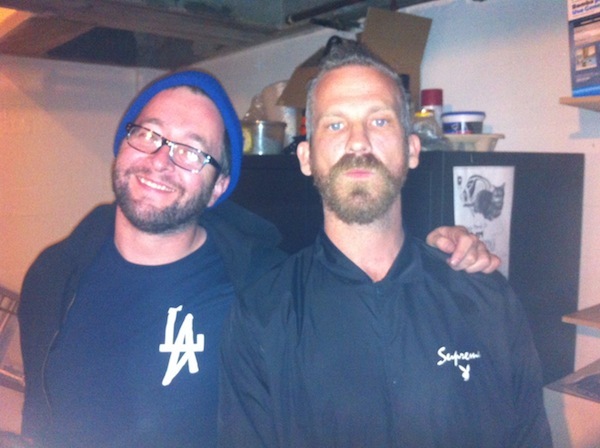 Jason Dill is this week’s guest at Fos FM. Stream the radio show from here. 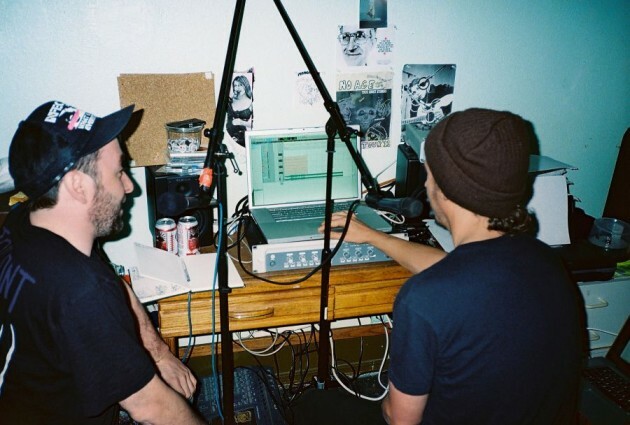 Heroin and Landscape’s Fos has crept onto the DIY airwaves in Los Angeles since he moved to California this Autumn. He spends a lot of time shooting guns aside from skating and painting thesedays and also has found time to huck out a radio show on the Altamont website. 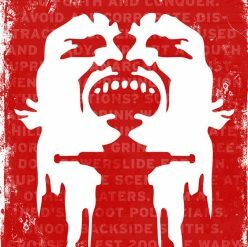 Fos FM launches today and kicks off with Slayer and red rum samples. Download the MP3 of the first show featuring guest Randy Randall from the band No Age here.